Wild Child Stories: Outfit Post: "The Coming of Spring"
Outfit Post: "The Coming of Spring"
You can Hype this lookbook using the button above or by clicking here. It feels like an absolute age since I've had a Sunday off, I'm always working or involved in some project or other, so today is kinda special for me. Im can relax on my bed in my dressing gown, drink endless amounts of tea, watch Gossip Girl (which is my latest addiciton!) and of course, do some blogging. These outfit pictures were taken a few days ago, but Im only getting around to posting them now. How cute is my new shirt from AxParis?! I really like the print and colour, and the quality is fantastic, its so soft and comfortable, I've worn it so many times since they kindly sent it to me. 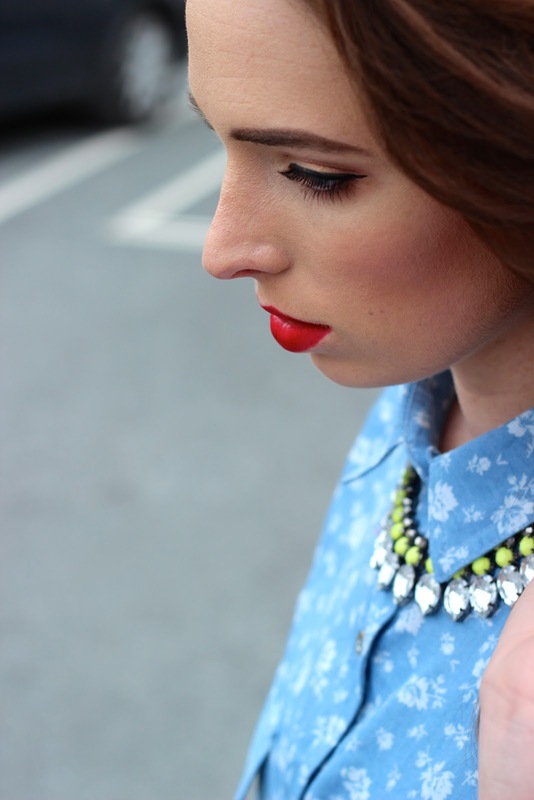 I just love the look of a crisp buttoned-up shirt with a nice necklace thrown on top. Funnily enough, I had to choose these photos based on whether Im scowling in them or not, as the weather has been so cold and miserable recently, and since I can't cover my outfits up in a jacket, I try my best to brave the cold long enough to get some decent photos for you guys, its not easy! The good news is that this time next Sunday, I'll be on holidays in Spain with my family ~ we're going for a whole week! I cant tell you how excited I am to get away from this miserable weather for a while, it will be so nice to relax and spend time with my 3 sisters, and Im also delighted to get the chance to photograph some more Spring/Summer looks for the blog! Ps: My "Shop my Closet" project is going really well, make sure to check it out here so you wont miss out. I'll also be adding some new pieces in the next few days ~ Happy Shopping! 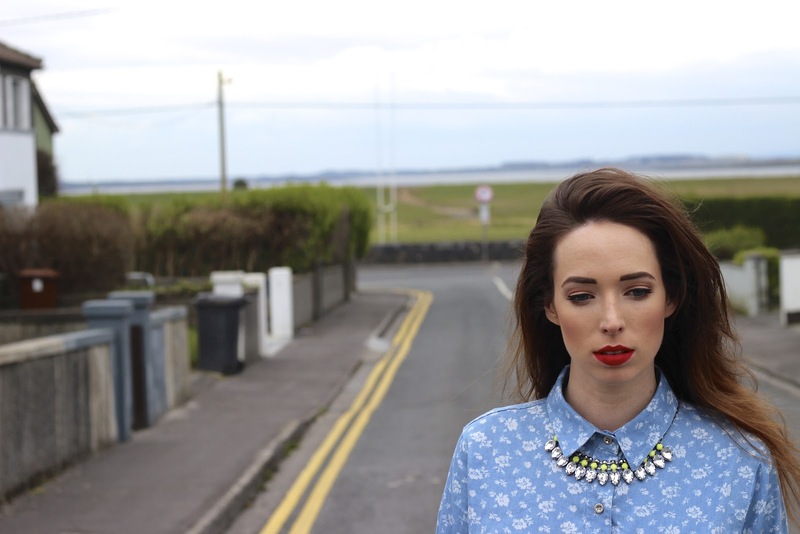 Love the printed shirt with the neon necklace Ciara! Fab pics, love the background view too! Love this look! Your makeup is always done to perfection, amazing!